Green Acres Baptist Church exists to exalt God’s greatness, evangelize God’s world, equip God’s people and express God’s love—through Jesus Christ our Lord. ­is statement identifies what Green Acres Baptist Church is all about. Our building is fan-shaped, seating about 3,400 people. One of its most unique features is our 300-voice choir loft. On Sundays, we have two services, each with its own choir of about 120 singers each. For us, our choir is the main focus. We use a 30 to 50-piece orchestra on the stage with quite a number of brass instruments, and there is always the fight of keeping the orchestra sound out of the choir mics. Th­is was always an issue, and I could never get it all where I wanted it. It was always a back and forth, I would have to duck something else to get the choir over it, when I needed to. We typically use a praise team to enhance the intelligibility of the choir. With 300 voices up there, all you usually had was a big smear of sound. ­ere was a real intelligibility problem. 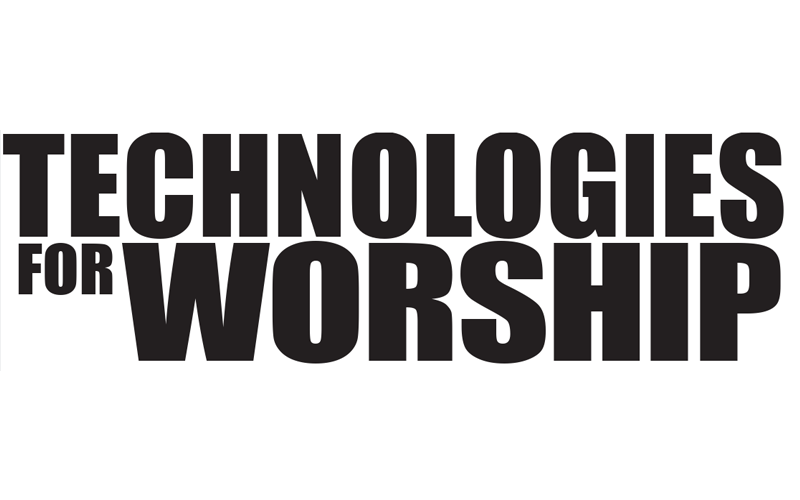 Our audio system was 13 years old, and needed to be replaced – so I spent a lot of time trying to choose the best gear for our church. Our goal was to purchase a quality system through all phases, SSL consoles, the best mics, etc., so we worked with Morris (our integrator) to design and install the system. They really know their stuff when it comes to using the type of equipment we were looking at on a day to day basis, and it was really important to me to have that kind of knowledge behind us. When we first started talking to them, we had some ideas about what type of mics we were going to need to really maximize our choir. 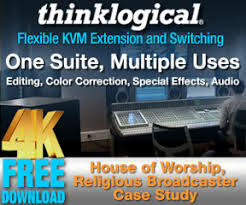 As mentioned, it had already always been an issue to get choir over orchestra, intelligibility has always been a major issue, and we really didn’t know how to get the choir audio to the level we wanted it. ­That’s the area we wanted to make our major improvements. 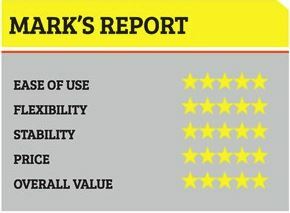 ­e team at Morris immediately suggested Earthworks as the manufacturer we wanted to go with, and I took them at their word. We installed 14 Earthworks FlexWands; currently using 13 with a spare. Our previous choir micing, we used 16 mics, so we were able to cut back a bit. 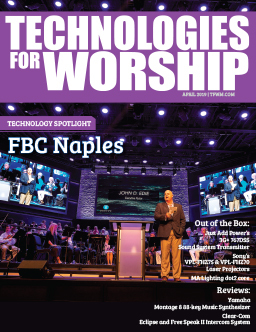 ­The first service with our new system and microphones, when I raised the fader on the choir mics it was an immediate night and day difference. I had intelligibility I had never had before; it was like a wall of sound. 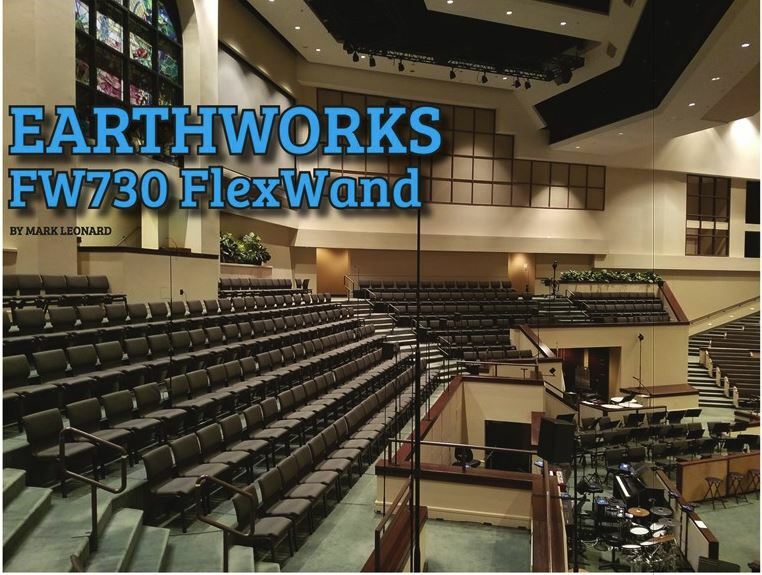 Prior to the FlexWands, we had hot spots in the choir – some singers that would be picked up stronger than others, etc., but the Earthworks mics have such a wide coverage (180 degrees) that the volume drop off on that arc is much smoother than others. We are able to pick up more voices with every microphone, and they are so crystal clear and sharp I need to do very little EQ on them. ­They are just phenomenal. Every time I bring the fader up, I am blown away – the quality, the tonal difference is just amazing. I have definitely drunk the Earthworks Kool-Aid – magic bullets are few and far between when dealing with live sound, but these mics have just made a huge difference. ­They might cost more, but it’s well worth it. Once you use the mics and get them out there you quickly realize how special they are. A lot of time prior, I would chase my choir around; I would have the tonality great for one song, but on the next I would be scrambling with the EQ trying to bring them back up. Th­ere was always an issue with room acoustics, reverb, feedback… However, the Earthworks mics are so flat and responsive; I rarely have to deal with any of those other issues anymore. ­e sound is natural and clear. For our recent Christmas program, we combined everything; with over 300 in the choir, over 50 in the orchestra, plus the full band, so it was the first real big test of our new system. For our Christmas program, I didn’t have to touch the EQ once, just used the fader. With the FlexWands, the rear rejection is noticeably better than any other mic we’ve ever had. Even the ambient spill is so linear, that I don’t have to worry about the orchestra sound getting too much into the mix; instead, I can keep the continuity of the mix much better, and the ambience is much less offensive than it was on our older microphones. ­e wide pattern of the FlexWands, combined with their fantastic rear rejection, really sets them apart. ­The bleed I used to get off the stage from the orchestra and FOH is almost non-existent. Some of this can be attributed to the new subs and speaker system, but a lot of the credit for these needs to go to the microphones. We’ve gone from a smear of a concert sound, to being able to hear the words and having such clear sound it’s amazing. ­e intelligibility is beyond compare! ­e other great things about the FlexWands is the fact that they’re so discreet; they’re hardly even noticeable in the choir loft. Despite their size, they don’t suffer from loss on the low end like some condenser mics do. The purchase of these FlexWands is one of the best investments I have made on this new sound system. As a user, you read about this stuff and you hear about it, but the real deal is when you get someone in front of it and they can actually hear that difference. ­The actual proof is in the pudding. ­The FlexWands is just incredible microphones. MARK LEONARD IS THE DIRECTOR OF AUDIO FOR GREEN ACRES BAPTIST CHURCH IN TYLER, TEXAS, AND HAS WORKED THERE FOR 17 YEARS. HE HAS OVERSEEN FIVE MAJOR AUDIO DESIGN/ INSTALLS AT GREEN ACRES INCLUDING SYSTEMS INCLUDING THEIR WORSHIP CENTER, CROSSWALK CONFERENCE CENTER, CHAPEL, AND YOUTH BUILDING. HE ALSO POST PRODUCES THEIR AUDIO REMIX OF THEIR SERVICES FOR VIDEO AND TELEVISION.